LED’s mission is to provide low-tech solutions to 3 basic needs: affordable and sustainable solar lighting, basic education and essential healthcare. 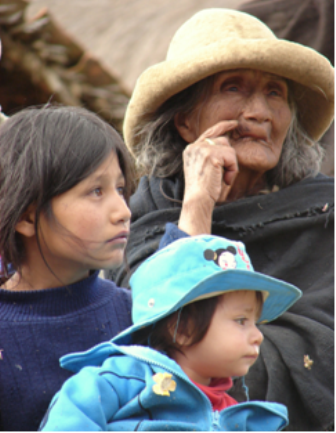 Led by the inspiring Val Pitkethly, we focus on the remote communities of Nepal and Peru. 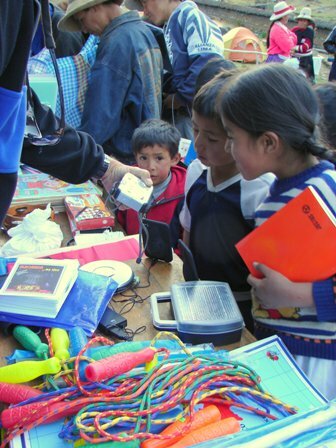 LED was founded in the late 1990s by mountain guide and climber Val, who over many years has established strong and trusted relationships with communities in the highland villages of the Cordillera Blanca and Huayhuash ranges in northern Peru and the mountainous Manaslu and SoluKhumbu regions of northern Nepal. Val is amazingly energetic, focused, compassionate and resourceful – the driving force behind LED. We are funded solely through the donations of those associated with Val’s trekking work, allied UK schools and friends. Additional help and financial support has also been provided by the Juniper Trust. The charity is administered by volunteers. Read more about what you can do to support LED’s work. Since 2004, LED has supplied solar lighting units to over 4000 families. Educational supplies have been donated to over 20 schools. In Nepal’s Manasalu region, we have supported Samagaon school since it was built in 2010. We provide school supplies for the entire year, every year, together with sports equipment and science equipment. In Peru, a clinic has been built in the village of Quishuar and staffed with a paid local health worker. Initially funded through generous private donations from friends and associates, LED now provides supplies and funding to this venture. The clinic provides basic healthcare and health education for numerous villages in the region. In coming years LED will continue to fund schools and health posts, staff and supplies, and to provide more solar lighting and medical supplies to the remote communities of Peru and Nepal. By meeting these 3 basic needs – affordable and sustainable solar lighting, basic education and essential healthcare – LED enables economic development for the poorest people in these regions.